What do you do on a sunny Sunday afternoon? Why, go to into the office, of course. 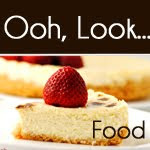 Actually, I’ve never been so keen to go to work on a weekend because a group of us had organised for our local friendly Stampin Up! 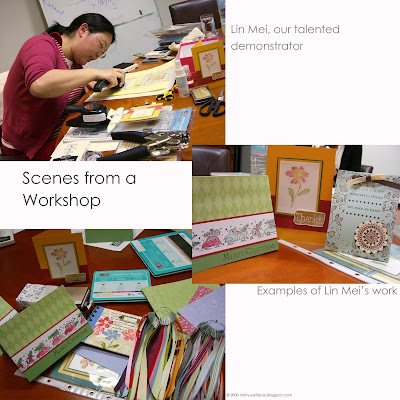 demonstrator (Lin Mei) show us some products and to make a card. As usual, it was so much fun (with a dash of frustration when things went awry). We were shown how to stamp using a two-step process, and (best of all) how to make a bog/bax (don’t ask, just look here). This is a card, stamped with a design and folded into the shape of a bag. Too clever. 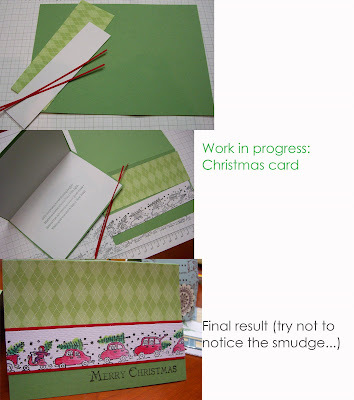 Then, we each made a Christmas card. See my attempt below. Thanks, Lin Mei, it was great. You can check out more of Lin Mei’s work here. Very flattering pictures of the projects, Belle! Your excellent photography makes them look quite presentable :) As for me, I'm just glad you didn't post the picture of me holding the inari...I'd better get back to doing some exercise.